The Right Honourable Adrienne Clarkson presents His Highness the Aga Khan with the Prize for Global Citizenship. 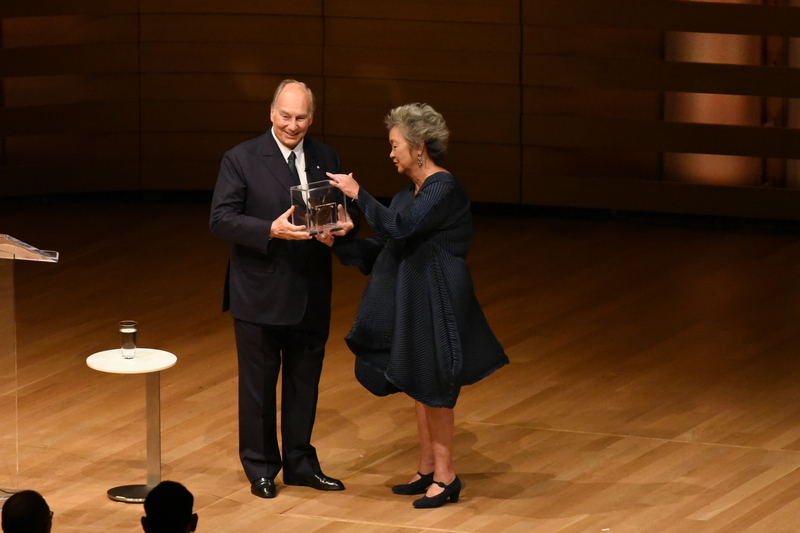 Toronto, Canada, 21 September 2016 - His Highness the Aga Khan was presented the inaugural Adrienne Clarkson Prize for Global Citizenship at a ceremony at Toronto's Koerner Hall. The prize was presented by the Right Honourable Adrienne Clarkson, the 26th Governor General of Canada and co-founder of the Institute for Canadian Citizenship. The Aga Khan addressed the gathering and took part in an onstage conversation with Madame Clarkson. The internationally-acclaimed vocalist and songwriter Rufus Wainwright performed in his honour. The annual Adrienne Clarkson Prize for Global Citizenship recognises an individual who has, through thought and dialogue, encouraged approaches and strategies that strive to remove barriers, change attitudes, and reinforce the principles of tolerance and respect.